Every bride is different, how can you determine wedding dresses and other wedding planning that indicate success of your wedding day so special. 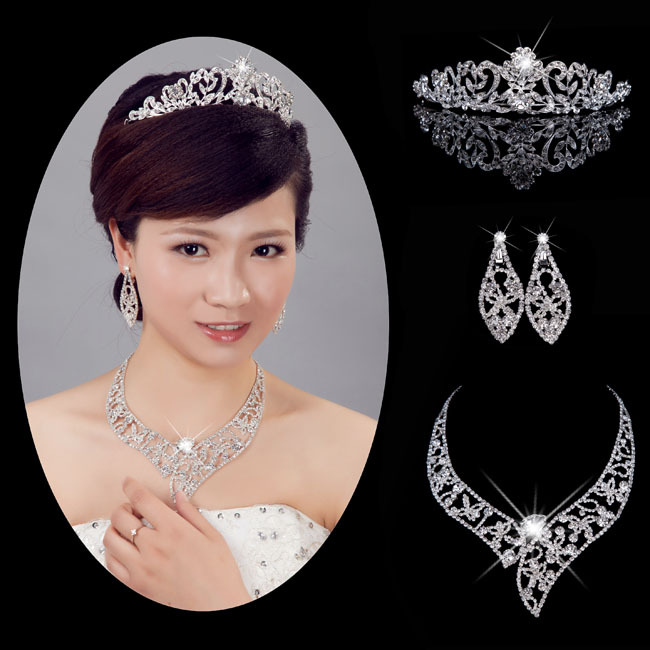 It is no less important than the wedding dress are accessories, bouquets, jewelry who want to appear in your bridal look. Choosing the perfect jewelry for your bride is really hard if you haven't bought various of jewelries yet. The jewelries should be combined really carefully with the dress in order for everything to look amazing. 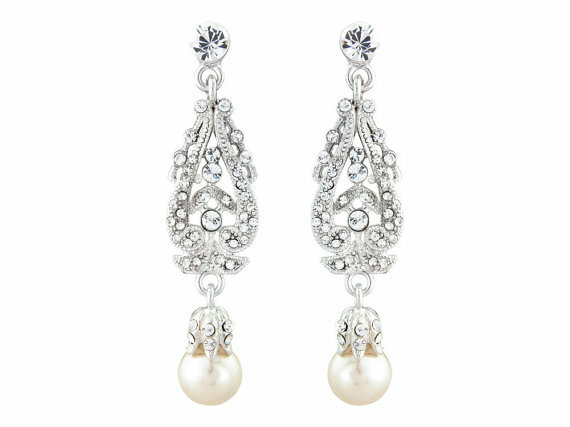 Most of the time, brides choose from two categories: diamonds and pearls. Of course, brides do not wear a watch. That day, the time is yours, and you can do what you want without be preoccupied see what time is it. Match your necklace to your dress. If you decide to look necklace, you should consider the type of neckline you have your dress. Check out the details on your wedding dress. Are they pearls, crystals, beads or diamante? 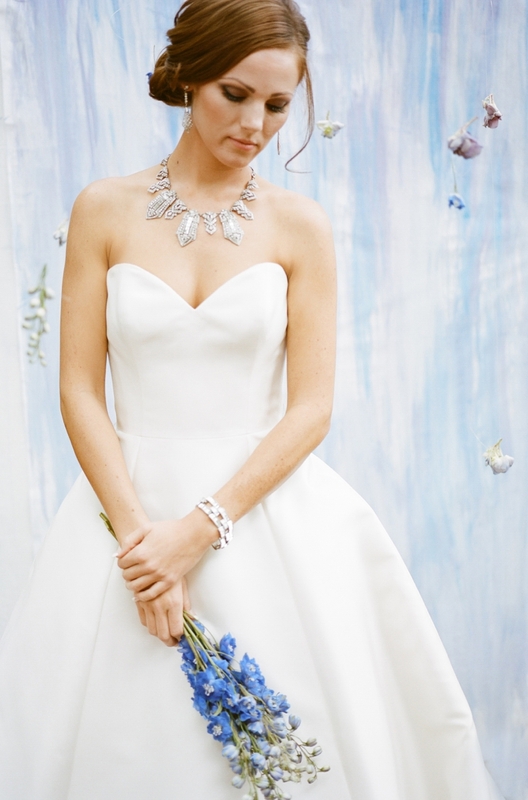 Your wedding jewelry should echo the theme of your dress so try to get a necklace in the same material. If you have chosen a simple dress you can get away with an intricate necklace, but if your dress is highly detailed, look for a very simple bridal necklace. Be yourself. 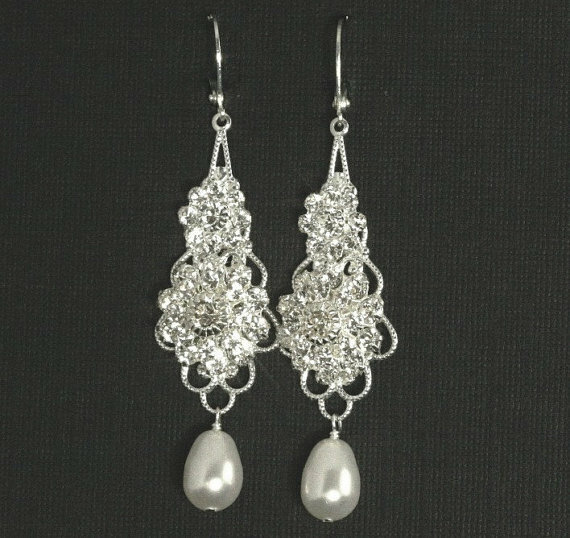 The most important thing about picking the perfect trinkets for your wedding gown is that they are a reflection of you. If you're not comfy wearing big chandelier earrings, stick to studs. If you're comfortable in all your accessories, your wedding day ensemble is guaranteed to dazzle. 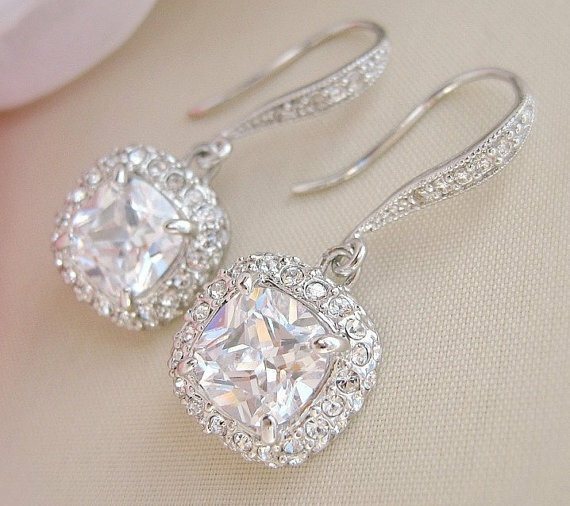 Deciding the length of the earrings you desire to wear is very important. This involves some knowledge of the shape of your face in addition to your taste in jewelry. The key to this is to study your jaw line; analyze where your most prominent and the widest part. To help first look at your chin or the ears. 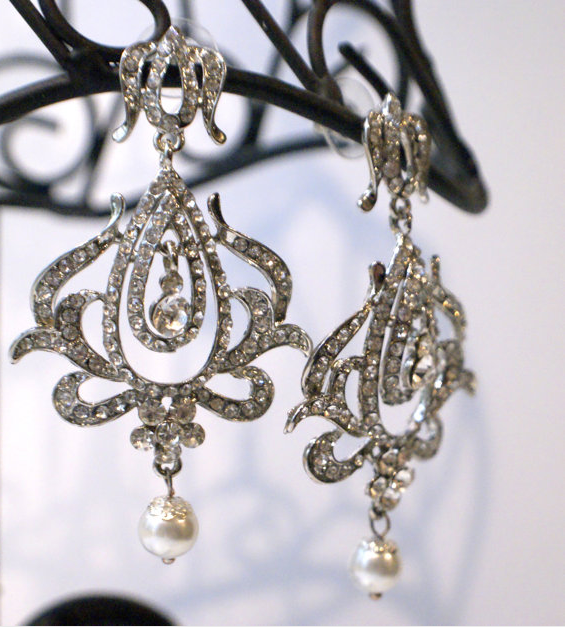 Now, you must choose the earrings that hang either above or below this very point. 0 Response to "The Perfect Jewelries for Your Bride"